I've been spinning this summer, but not so much knitting. But with the kids heading back to school, I start thinking about fall. And then thinking about winter and Christmas gifts and cold weather. And that almost always cures the knitting funk! 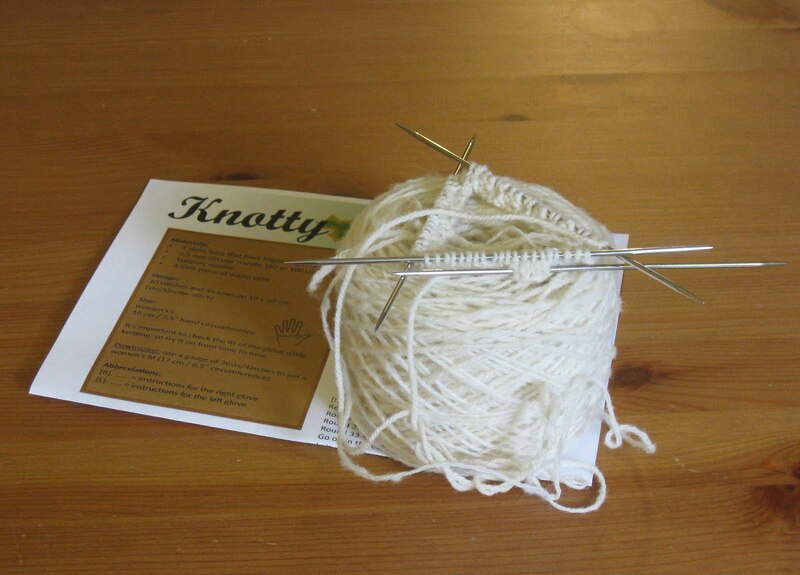 So today I cast on for Knotty. I'm using the East Friesian lamb I spun up this summer and I'm still just as in love with it as I was when it arrived in it's raw sheepy state. It is such a lovely smooshy yarn. I'm hoping the 80g I've got will be enough for these gloves. These will be a Christmas gift for someone who always appreciates handmade goods. The fact that these come from raw fleece to finished product will not be lost on this someone!